Find out how powerful Happy Kava Brand Premium Instant Micronized Kava Powder can be to help you relieve your anxiety and stress. Happy Kava Brand takes micronized Kava to the Max. This is the strongest, lateral root rich Kava we have seen in an instant Kava. Gentle anxiety support from all natural Kava Kava root can help allow your body a release from anxiety, stress and tension. This Kava herbal supplement also aids with restlessness, sleep and encourages overall calmness. Fast acting on the go stress relief with this convenient Instant Kava Kava Mix! You can forget about the hassle or mess of preparing Kava Root beverages and enjoy the calming effects of Kava with ease and convenience. Truly Instant Kava - Simply add 1 tablespoon to 125ml of your favorite liquid, stir, and drink. Straining is completely optional. For best results, we still recommend placing into a blender and blending for 3 minutes to make a stronger drink. All Natural, Vegan and Non-Addictive. 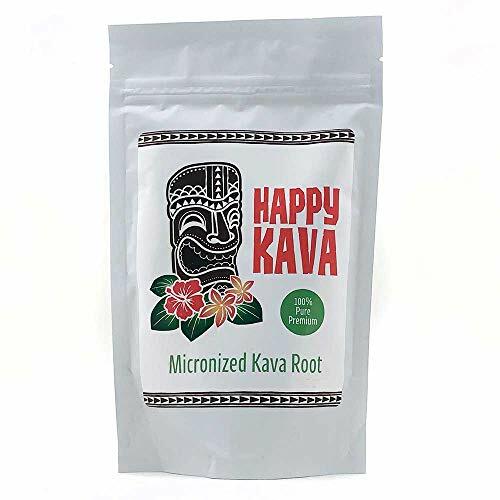 Happy Kava Brands Micronized Kava Root Drink Mix is a completely safe and non- addictive herbal supplement and is made with 100% natural micronized Kava Kava Root containing 10%-12% kavalactones. Find out how powerful Kava can be for helping you fall asleep faster when it's combined with Passion Fruit extract, a clinically-proven herbal sleep aid. The Kava relaxes you and eases you into a state of well being that can be conducive to sleep, while the Passion Flower works it magic by gently sedating the central nervous system to make it a snap to get some restful, peaceful sleep. Gentle anxiety support from all natural Kava Kava root can help allow your body a release from anxiety, stress and tension. This Kava herbal supplement also aids with restlessness, nervousness and encourages overall calmness. Happy Kava Brand Passion Flower Kava Tincture Blend can help you chill out after a long or stressful day as the Kava and Passion Flower work together to relax you and ease you into a state of well being. Fast-acting Liquid Extract allows the tincture to enter your system easily and quickly so you will enjoy the relaxing and stress relieving effects of these herbs within moments. 100% Natural and Non-Addictive. 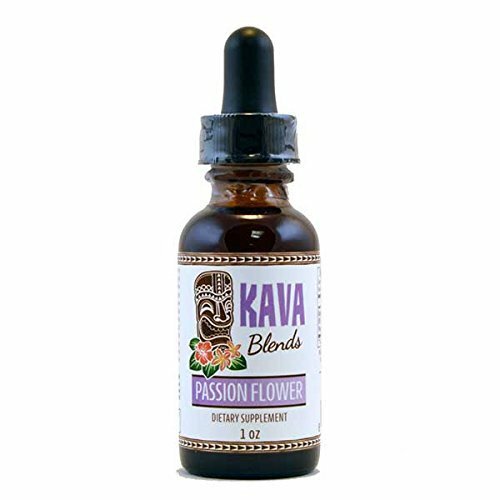 All we have in this award winning Passion Flower Kava Tincture Blend tincture is pure Noble Kava root with a 2-4-6 or 4-2-6 Kavalactone lineup, and pure Passion Flower extract. Enjoy the benefits of Kava Kava and Passion Flower with the ease of this highly concentrated Happy Kava Blend tincture. Just a few dropper fulls and your will be on your way to a better state of mind. Great for on the go stress relief and a little pick me up through your day! Kava Cafe is a European style espresso bar featuring espresso drinks, coffee, tea, beer, wine, and cocktails. Kava Cafe also serves breakfast, brunch, lunch, and dinner. Product Description. After many years of patience, we couldn’t be more proud of our new KDC Vanuatu kava root powder Noble variety. It’s a coveted Vanuatu variety that consists of only lateral roots, and possesses a very specific “happy” chemotype that we could only have dreamed of seeing in a Kava Root. Characteristics. Kava was historically grown only in the Pacific islands of Hawaii, Federated States of Micronesia, Vanuatu, Fiji, the Samoas and Tonga.An inventory of P. methysticum distribution showed it was cultivated on numerous islands of Micronesia, Melanesia, Polynesia, and Hawaii, whereas specimens of P. wichmannii were all from Papua New Guinea, the Solomon Islands, and Vanuatu.